Cook from the farmer’s market with inspired vegetarian recipes—many of which are gluten-free and dairy-free—with a French twist, all highlighting seasonal produce. 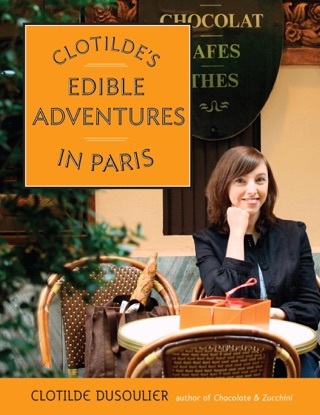 Beloved ChocolateAndZucchini.com food blogger Clotilde Dusoulier is not a vegetarian. But she has, like many of us, chosen to eat less meat and fish, and is always looking for new ways to cook what looks best at the market. 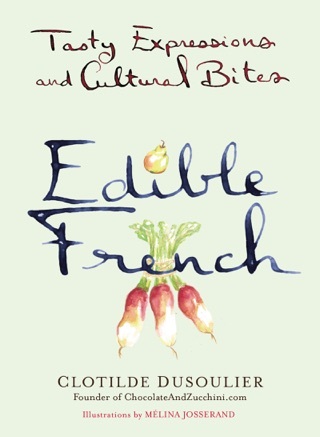 In The French Market Cookbook, she takes us through the seasons in 82 recipes—and explores the love story between French cuisine and vegetables. Choosing what’s ripe and in season means Clotilde does not rely heavily on the cheese, cream, and pastas that often overpopulate vegetarian recipes. Instead she lets the bright flavors of the vegetables shine through: carrots are lightly spiced with star anise and vanilla in a soup made with almond milk; tomatoes are jazzed up by mustard in a gorgeous tart; winter squash stars in golden Corsican turnovers; and luscious peaches bake in a cardamom-scented custard. 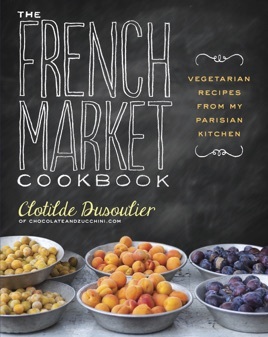 With 75 color photographs of the tempting dishes and the abundant markets of Paris, and with Clotilde’s charming stories of shopping and cooking in France, The French Market Cookbook is a transportive and beautiful cookbook for food lovers everywhere. 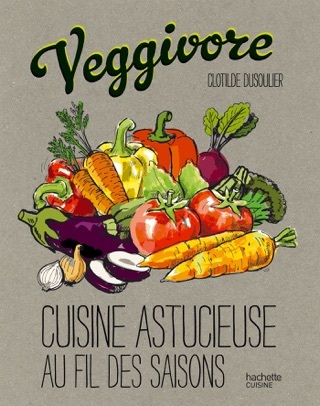 Flexitarian blogger Dusoulier (Chcocolate and Zucchini) presents her second cookbook, a volume of vegetarian recipes inspired by "the love affair between French cuisine and vegetables." Without much introduction, Dusolier jumps right into a seasonal division of fresh, whole-food recipes, including lists of "Produce to Play with " for at the start of every chapter. 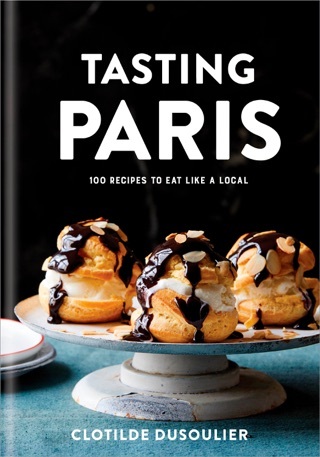 Vibrant photographs throughout highlight the textures, colors, and simplicity of Dusolier's fare, and will inspire readers to either cook or book a trip to France. Dusoulier celebrates the spring with a recipe adds prunes and pine nuts into Swiss chard pie a marriage of fresh greens with crisp pastry. For summer, there is the gluten-free, chickpea-flour based zucchini and apricot socca tart. She suggests stuffing mushrooms with plums and hazelnuts or, on the sweeter side, a pear and chestnut cake for autumn's harvest, and spelt and vegetable pilaf or an updated Alsatian dessert, chocolate berawecka, in winter. A final chapter focuses on kitchen "essentials," such as various tart dough, from yeast-raised spelt to a fast olive-oil pastry; bechamel sauce, with instructions for a vegan version; and vegetable stock. Though most recipes include diary and/or eggs, Dusolier otherwise successfully takes on the notoriously difficult mission of merging the vegetarian diet with the French cuisine.